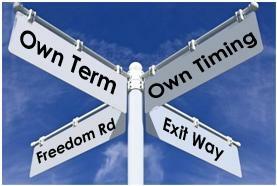 Understanding your options when it comes time to leave your business is an important strategic decision you will make. We've developed a simple tool that allows you to know what you need to do financially before it's time to retire. The 4 Boxes of Business Financial Planning for Independence Report allows you to begin planning today. Learn why your business might not allow you to retire. Understand the tools for measuring financial independence. Learn how to leave your business with the lifestyle you want. Learn why real estate may be a more important asset than your business in retirement.